Here's a simple thank you card using Sweet Shop. I cut the doughnut at 2 1/2" and heat embossed my sentiment. I love how easily the images layer on this cartridge! 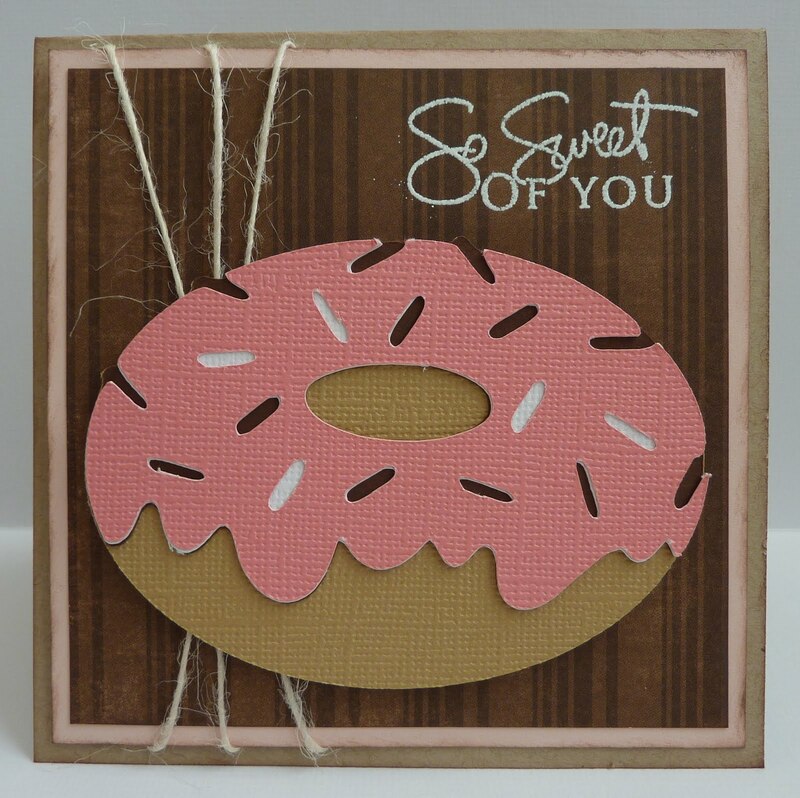 8 1/2" x 4 1/4" Kraft cardstock, scored at 4 1/4"
Seeing this early in the morning just made me want a donut Katie. Your card is so YUMMY! Thanks for the inspiration again like always. How cute! I love this. Very cute card. I think this cart is becoming a must have. I need a doughnut now. How cute! Is it a full cartridge? Maybe I need this cart. Oh, does this look so good! Gotta go get a donut now:)yummy! Oh boy I love these card soo cute.